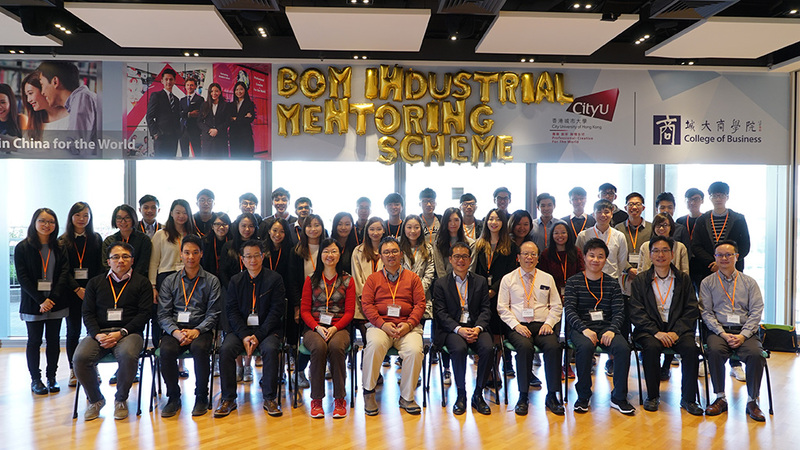 The Industrial Mentoring Scheme (IMS) is a professional networking platform for BOM students to connect with business executives from various industries. Developed by the Department of Management Sciences in 2009, IMS has since invited more than 50 business executives to share their varied work experiences with our students. Today, IMS continues to serve as a platform for students to be mentored by professionals from industries such as banking and finance, business consulting, hospitality, retail and wholesale, and trade and supply chain management. This year, IMS attracted more than 40 students and eight professionals as participants. IMS groups five to six interested students with a professional mentor. In addition to sharing about various aspects of their work, mentors provide student-mentees with vital information about industry trends, internship opportunities, job openings and interview tips. As such, IMS offers an invaluable opportunity for students to initiate and develop professional relationships in a specific industry. It is no wonder that many students have found IMS to be essential in their professional growth and development. “The IMS programme has made a great mentor match for me. Not only did I receive the latest updates in industry trends from my mentor, I also received advice on personal growth and positive life values,” said Yoyo, a final-year BOM student.